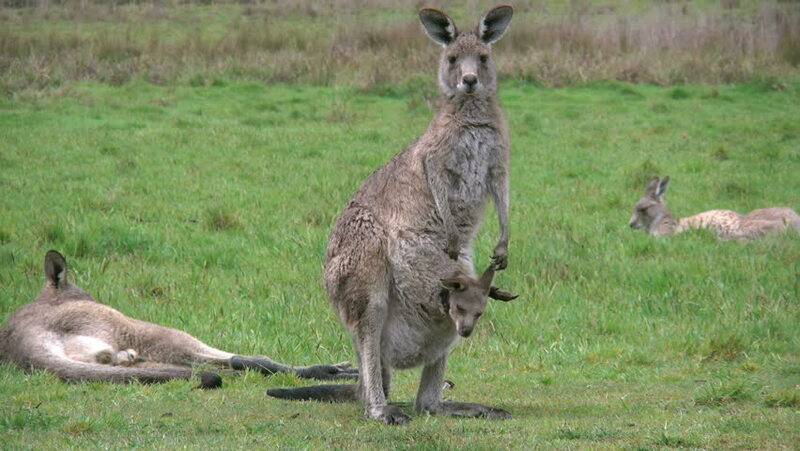 A mother kangaroo with a joey in its pouch looks around. 4k00:10A joey looks out of its mother's pouch. hd00:26Static shot of cute spring lamb staring into camera. hd00:18Young Wallaby and mother looking on to the camera in slow motion in Mission Beach Queensland, Australia.